I’d never heard of this guy before picking up the cd used a year ago. But it’s pretty damn good music, I must say. It might be worth mentioning that all the guitars and fiddles in the world have evolved from things basically like what Rachid plays (oud & Moroccan fiddle), and he’s quite masterful on both. How to describe this music? It’s like a a party that’s a devotion at the same time. Like your call-and-response exquisite church music got a life and became ecstatic call-and-response festival. And it has all these crazy microtones – in the singing, the oud and violin playing. It’s actually quite affecting to hear someone whose voice can be gruff and guttural one moment reach scintillating heights of delicacy the next. Kinda like Blind Willie Johnson… only different. Anyway, I don’t have too much to say about this. It’s just thoroughly enjoyable. So enjoy! As a world-class musician, Rachid Halihal brings to the community the true character and spirit of musics from the classical Egyptian repertoire which is much loved throughout the Middle East; from the Fertile Crescent; from diverse regions of Morocco and North Africa; and also the mezmerizing music of the Arabian Gulf. As a child, growing up in Fez, Morocco, Rachid played the nei and sang, imitating the famous singers of the time. At age fourteen he entered “Dar Aadyil” the Conservatory of Music in Fez. At first he studied Western classical and Andalus music on piano and violin. He soon expanded to include a variety of other instruments in order to better express his native music. In addition to his voice, which is best featured in the Andalus style, his strongest instruments are the oud (similar to a lute without frets) and the violin, which he plays in both the classical manner and upright resting on the knee for Moroccan folkloric music. 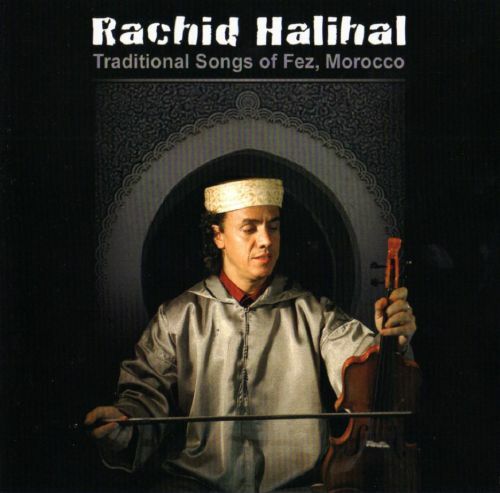 Until 1986, Rachid played in an Andalus orchestra in Fez, and at various occasions throughout Casablanca. Then, over a span of fourteen years, he presented his music to a more varied audience. This included an extended stay in the Ivory Coast; one year in Sweden; one year in Finland, where he and his seven piece band played at the Helsinki International Music Festival sharing the bill with Cheb Khaled; and in the coastal city of Agadir, Morocco, Rachid fully managed a night club, its musicians, and folkloric troupe for seven of those years, playing his music every night for the club’s primarily touristic and Arabian clientele. On his violin, he accompanied many of Morocco’s well known singers who toured to Agadir. On many occasions he played with Mohammed Abdo, one of the Arabian Gulf’s most loved singers. 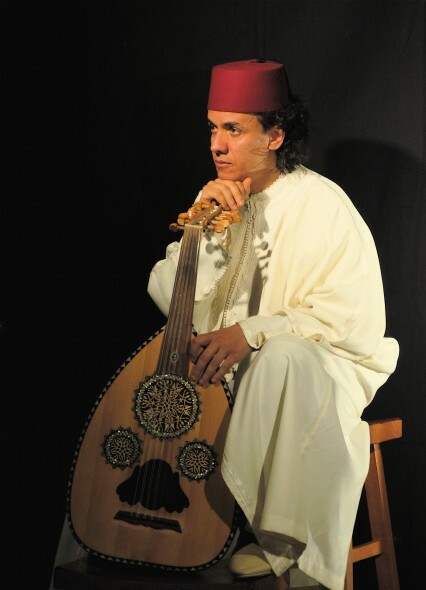 During two years, Rachid was invited numerous times to the Arabian Gulf as a singer and oud player in his own right. 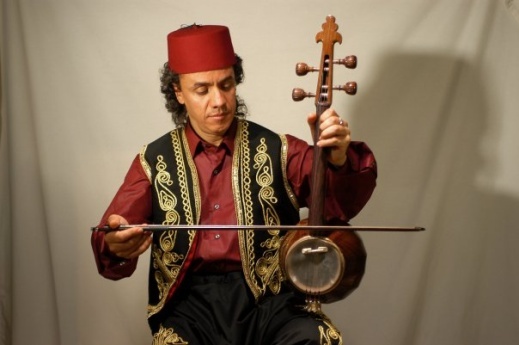 In Summer 2004 Rachid toured the USA with The Chicago Classical Oriental Ensemble playing Moroccan Andalus music with Abdelfattah Bennis, including Genesis at the Crossroads Festival in Chicago. He was presented at Columbia University in concert with visiting Israeli singer, Michel Cohen, with Moroccan singer Pinhas in New York and Miami, as well as other ethnic concerts and events throughout New York City. In 2003-4, Rachid was presented with his band at Denver’s Global Groove World Music Festival, with Nawang Kechong in Aspen, in two separate Mid-East Dance concerts at the Boulder Theater, Colorado, with Souhail Kaspar in Denver, Boulder, Portland, and Los Angeles. Rachid also played at the Los Angeles County Museum of Art for the inaugural King Tut exhibit in the US on June 15, 05. In Summer of ’05 Rachid toured the USA and Canada with Rachid Taha (Algerian/French) Rai-rock band. * though only 4 years old, this album appears to be completely unavailable – from the artist’s website, amazon, younameit. how else should one get it, but here? This entry was posted in africa, fiddle, fruits, oud, world. Bookmark the permalink. These rapidshare links tend to disappear fast due to their new rules, and this link is no exception. Strange, it seems that when I logged out from rapidshare things worked again. Now it was a direct download link instead of a link to their site. Great, the links seem to be working again.